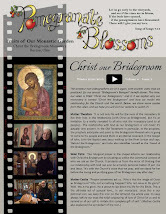 Christ The Bridegroom: Aleteia article makes a fitting conclusion for our Year of Consecrated Life! 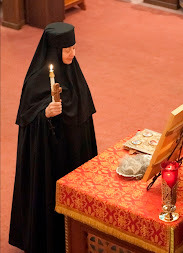 Aleteia article makes a fitting conclusion for our Year of Consecrated Life! The Year of Consecrated Life, which the Catholic Church has been celebrating since November of 2014, concludes today on the Feast of the Encounter of Our Lord with Simeon (the Presentation of Our Lord in the Temple). 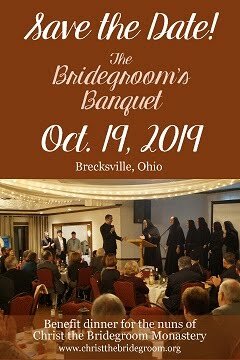 It has been an epic year for us, as Mother Theodora wrote about in her newsletter update, with major renovations, our first fundraising event, two Rasophore tonsures, the entrance of a new dokimos (postulant), two life professions, the appointment of Mother Theodora as Hegumena (Abbess), and more! 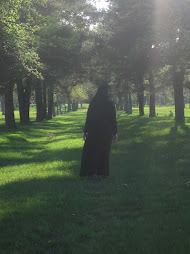 And today this beautiful and fruitful Year of Consecrated Life comes to a close, but not without a finale! 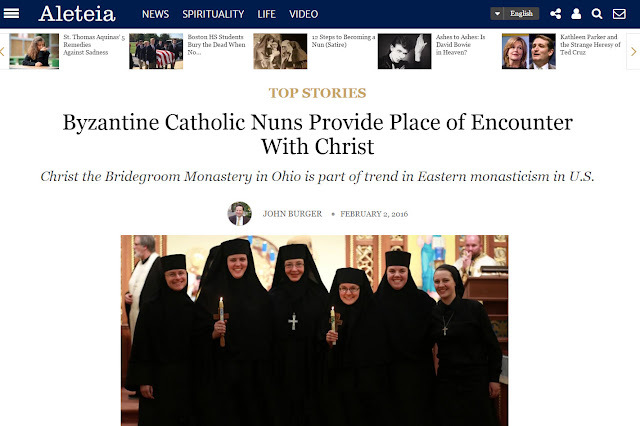 Enjoy this article published today on Aleteia.org about our monastery. And keep us in your prayers as we find out what God has in store for us this year, and as we seek to persevere and remain faithful to Him!